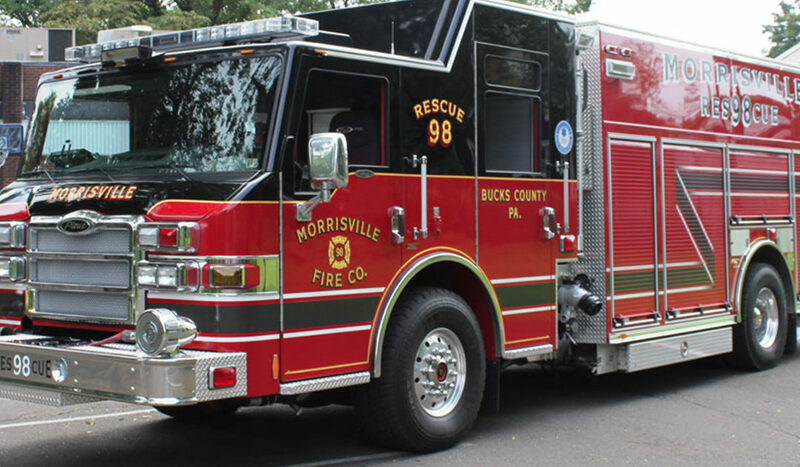 BUCKS COUNTY – March 28, 2019  –  The Morrisville Fire Company was awarded $200,000 in state grant funding for a new fire engine, according to State Senator Steve Santarsiero (D-10), State Representative Perry Warren (D-31), and State Representative John Galloway (D-140). The new engine is a 2020 Pierce Arrow XT heavy duty rescue pumper with a 500-gallon tank and 2000 gpm pump. “With this loan, the Morrisville Fire Company can purchase a new fire truck that is as top-notch as the men and women who volunteer for it,” Rep. Warren said. “This engine will be a great addition to the Morrisville Fire Company and reflects my commitment to funding local emergency services,” Rep. Galloway said. The Morrisville Fire Company applied for the grant through the Volunteer Loan Assistance Program (VLAP) and is administered by the Office of the State Fire Commissioner.